What does man bun mean? Roll up those skinny chinos, button that top button, oil the beard, grab a cold brew, hop on your fixie, tie up your man bun, and go. The man bun is a male hairstyle featuring a top knot of varying lengths. It's associated with hipsters in the 2010s. This going to come as a shock to many of you, but the guy handing out Kombucha samples at Whole Foods has a man bun. Where does man bun come from? But, as a hairstyle, the man bun goes way back, documented from the Germanic Goths to Japanese samurai, who wore theirs in various fashions that have become stereotyped in everything from Saturday Night Live to Samurai Jack. Other modern man buns appeared in The Rocky Horror Picture Show (1975) and Interview with the Vampire (1994). 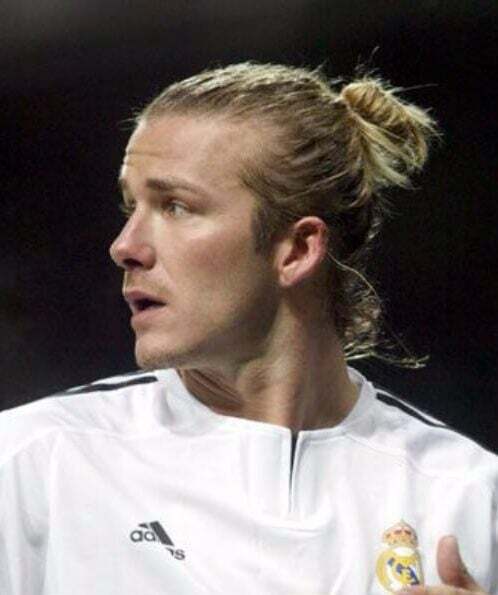 In the late 2000s, soccer superstar David Beckham fixed up a man bun while on the field (and off). 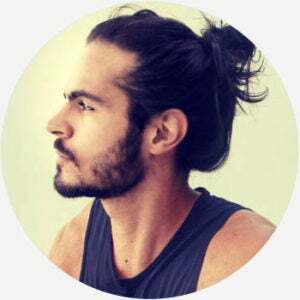 As a term and trend, however, man bun takes off around 2013 when the likes of Jared Leto, Leonardo Dicaprio, and Joakim Noah started sporting them. Perhaps, as a counter to the slicked-back ‘do that became popular in the 2000s, the man bun spread with trendily clad hipsters in cities like Brooklyn, Oakland, Portland, and Austin, who often paired their man bun with that 2010s trend, the big beard. 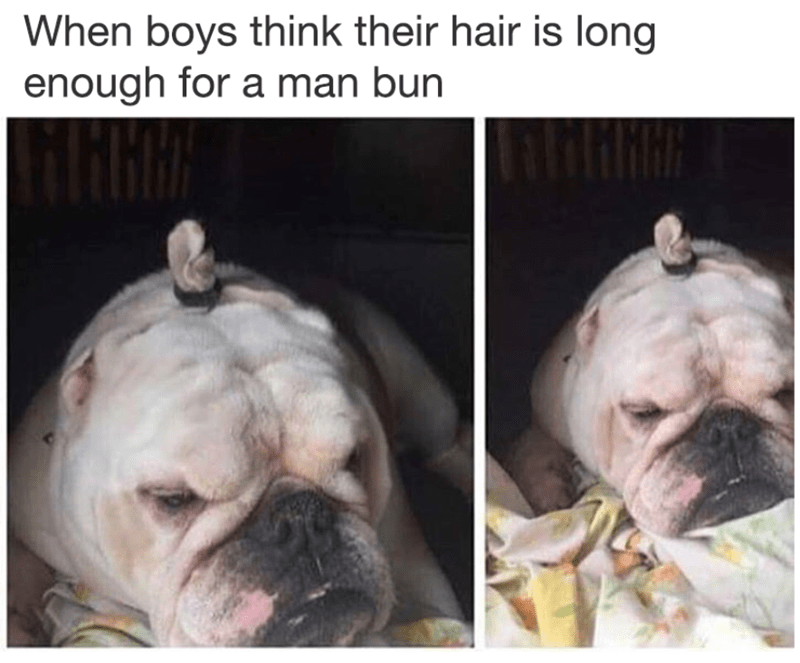 While popular among many dudes, some mocked the look as girly, predictably, but others ribbed the man bun, and its wearer, as bougie and greasy. 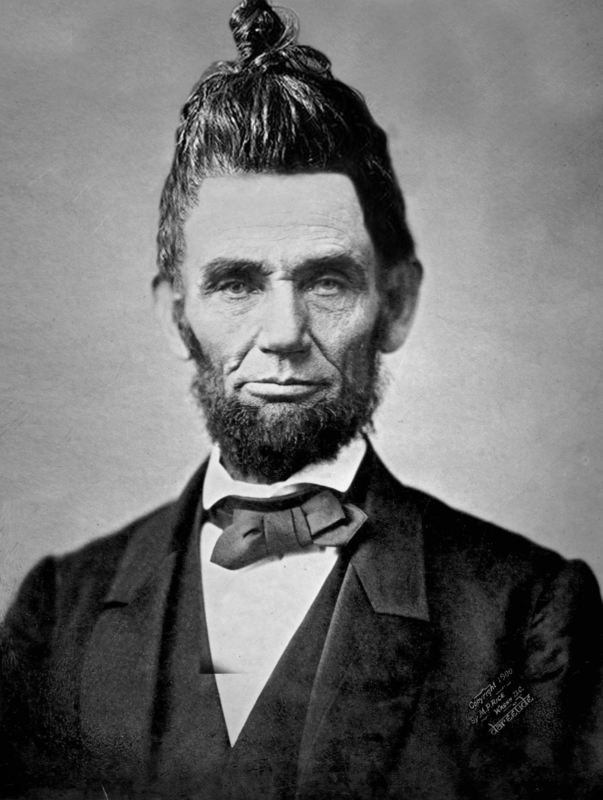 Some enterprising folks created man bun clip-ons or photoshopped man buns onto important figures. 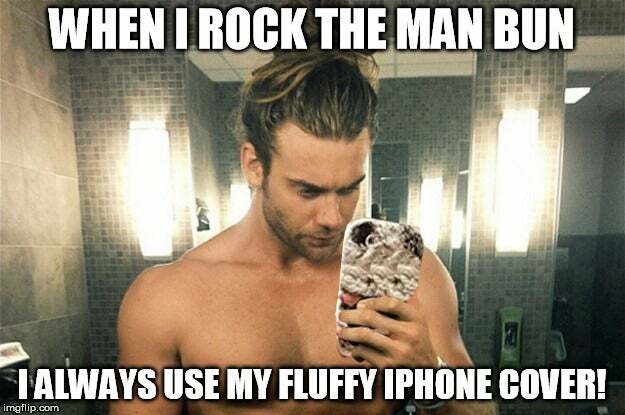 Still, the man bun proves itself an easy target, often used as a trope for the just-so hipster.